$195 it's raining shells! 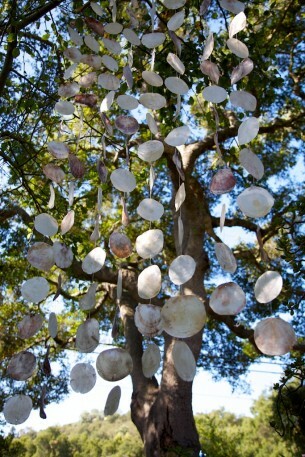 curtain of shells suspended by a bamboo rod. 6'8" high x 34" wide.